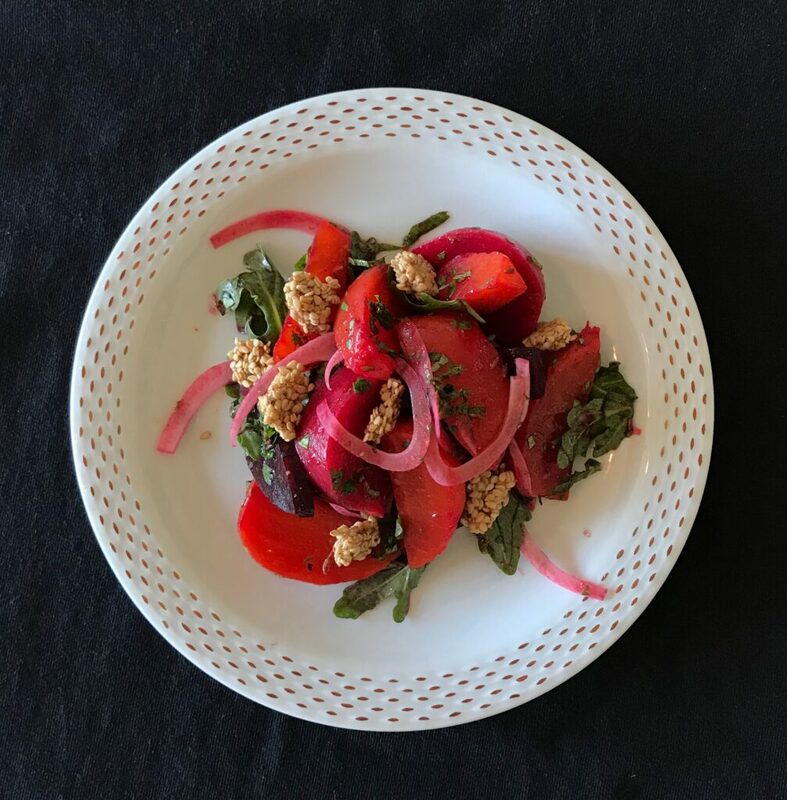 What I love about this fennel and roasted beet salad is its surprisingly refreshing taste, making it the perfect salad to put in your basket for a beach picnic. The shaved fennel, tender beets, and crispy sesame seed crunch delight with their distinctively different textures. 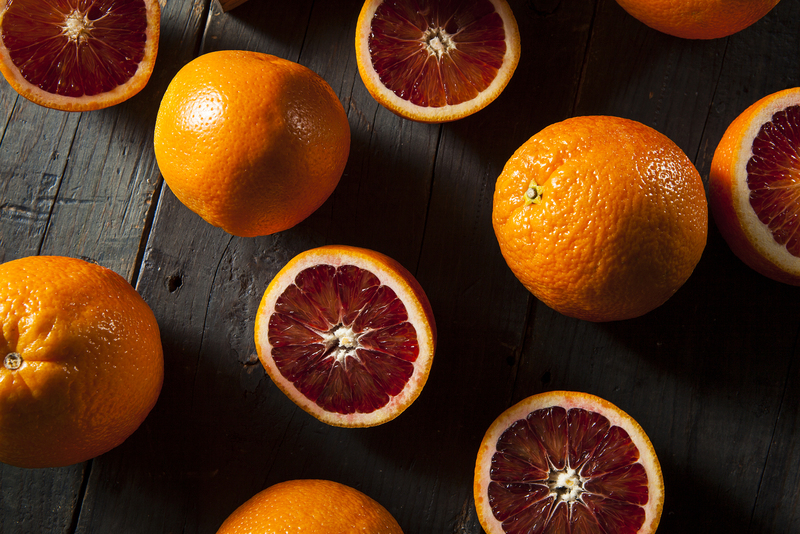 This dish has a Moroccan inspiration with the bright flavors from citrus, cumin dressing, and beets. Preheat oven to 350 degrees Fahrenheit. Whisk egg white in medium size bowl until foamy. Mix in sugar, salt, cinnamon, nutmeg, and clove. Add sesame seeds and mix until the seeds are coated. Spoon sesame seed mixture out on a sheet tray lined with parchment paper. Bake until golden brown, about 10 to 15 minutes. 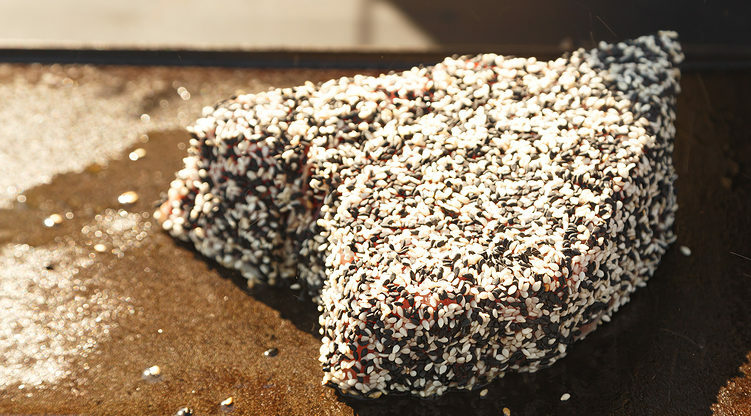 Let cool, then break the sesame crunch into bite-size pieces. Preheat oven to 400 degrees Fahrenheit. Set the beets on a baking sheet lined with aluminum foil. Drizzle olive oil salt and pepper roast for thirty to sixty minutes, until beets are tender. Once cool, using a kitchen towel to rub off the skin of the beets, the skin should peel off easily. While beets are roasting, toast the cumin seeds in a dry pan over medium high heat until fragrant, for two to three minutes. Cut beets into small half moons and place in a large mixing bowl with mint and chopped cilantro. Halve fennel bulbs lengthwise. Using a mandoline, shave fennel crosswise (you can use a knife, but you want the slices to be no thicker than ⅛ inch). Transfer fennel to a large bowl with roasted beets. In a another small mixing bowl, whisk together toasted cumin seeds, sugar, salt, lime juice, garlic (if using), and ¼ cup extra-virgin olive oil. 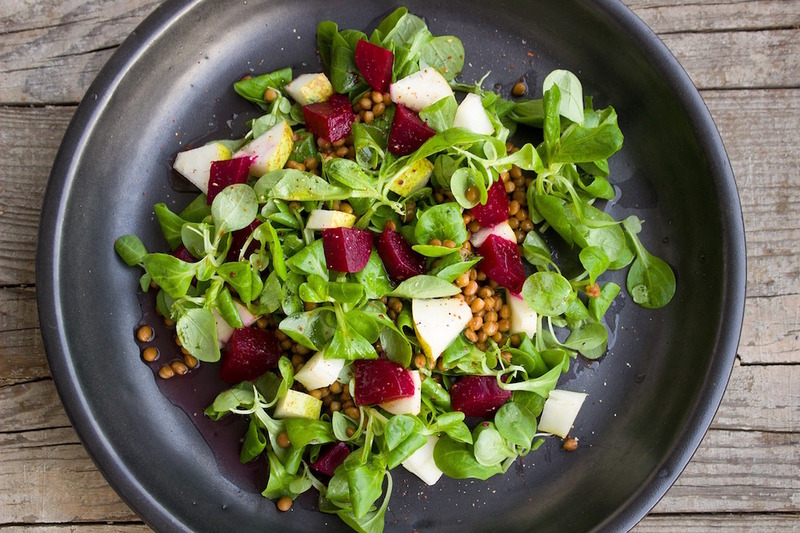 Toss the beets and fennel with the cumin vinaigrette. 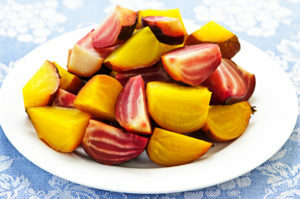 Place the beet salad in the center of each salad plate plate, top with a few pieces of the sesame crunch, and serve. 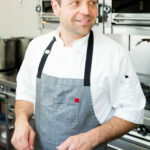 Chef Jason Simon has been at the helm for high-profile, large and small scale events throughout the San Francisco Bay area. Where he frequently executes celebrity chef dishes for political fundraisers, galas, celebrity events, corporate off-sites, conferences, luxury weddings, and in-home private events.